All hat, no cattle is a contemporary phrase describing someone who’s showy, but lacking in substance. The saying is used to describe a person who talks big about a subject, but when pressed, can’t convey solid information or skills. There’s some dispute about the origins of the axiom, with some suggesting that it’s an old Texas adage, and others mistakenly linking it to the 1978-1991 television program, Dallas. The earliest verified notation of All hat, no cattle is in the March 1944 issue of Agricultural Leaders’ Digest 25, No. 3, with possible earlier references. My twist on the pithy proverb is this: all hat (sepal), no petal. 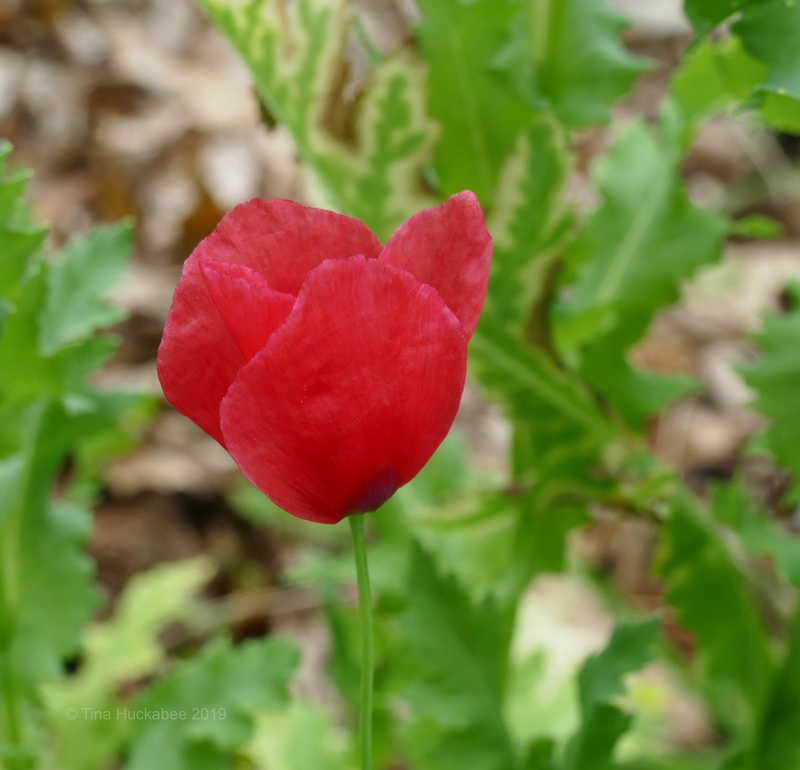 The hat, in the form of the poppy’s sepals, is not quite doffed for the as-yet-unfurled petals. It’s a flower, but a flower currently unable to deliver its goods–it’s a flower wanna be, with promises of produce, but lacking in freight. Here, the sepals are gone, having drifted away with a puff of breeze or the pull of gravity; no doubt they rest nearby. The petals are opening for business, the flower awaiting its pollinators. But peering into the heart of this poppy, there is no phony, fake entity; pollen and nectar are in place, ready for action. The insect work of pollination and resulting future bloom procreation, will continue. Check out Anna’s Flutter and Hum and her wonderful Wednesday Vignette for garden, nature, and other musings. 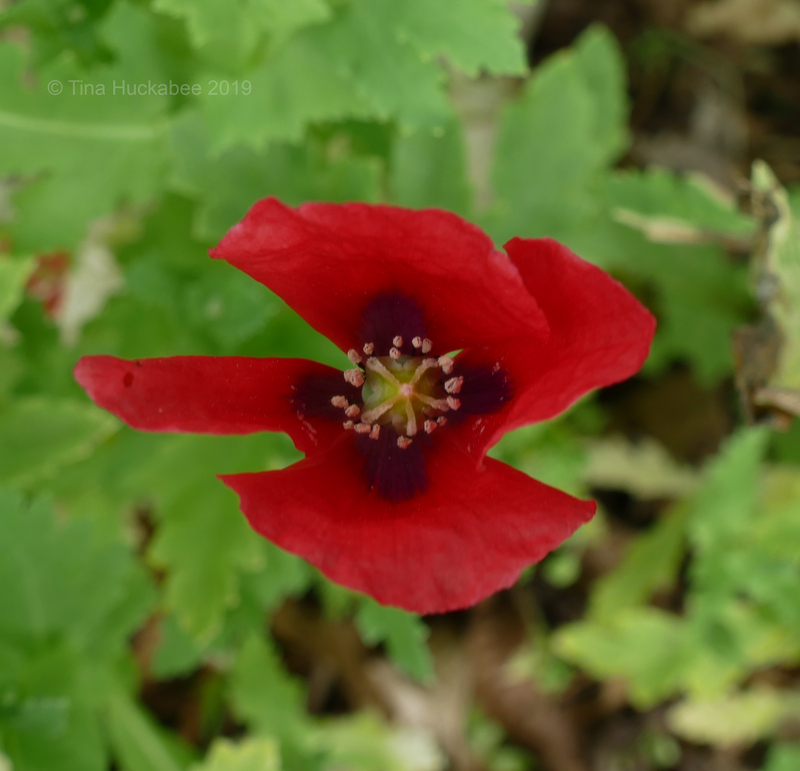 This entry was posted in Poppy, Uncategorized and tagged Pollinator Gardening, Wednesday Vignette by Tina. Bookmark the permalink. When I read your title, I knew immediately which little saying would follow. I guess that proves I’ve been here long enough even to absorb the idioms! 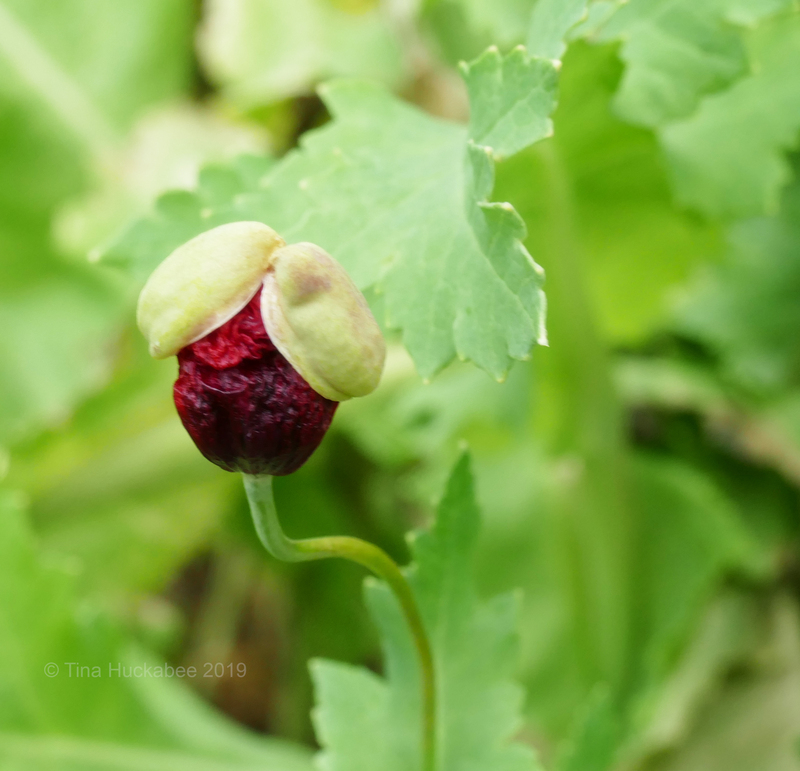 It’s interesting to see how this poppy’s opening differs from that of the white prickly poppy, whose bud opens longitudinally. It’s good to see you still have poppies, too — thanks to Austin’s “heat island,” perhaps. My friend outside Kerrville was verklempt when I talked to her this week. The hard freeze up there took out every one of her poppies — except for the natives, of course! Haha–somehow, that saying came to mind immediately when I saw the bud. I checked several times yesterday, hoping to catch a honeybee (who love these poppies), but never did see one. These are the first to open. Interesting about the difference in this non-native and the native; unfortunately, I don’t grow the native. Seeds of this poppy were gifted to me 20 some-odd years ago by a German friend and they’ve reappeared and reseeded since then. The freeze didn’t bother them at all. In fact, the only thing dinged by that freeze were my iris blooms. I had hundreds that were going to happen–the best show in years! I clipped the majority and brought them into the house so that I could save the blooms. I’m not much of a cut flower person, but I’m glad I had them. For the ones I left outdoors (they weren’t far along in development and I knew an iris would never happen sitiing in a vase) many, not all, were impacted by the freeze. I had flowers in my house for about 10 days, and there are still iris blooms happening in the garden. Yay plants! I love Texas sayings. I have had problems growing poppies over the last few years. The few that came up are only 3 inches tall. Yours looks great. I should have culled more of them than I did. Blame laziness and distraction. 🙂 But there will be plenty and the honeybees and some butterflies will be happy. Do yours reseed on their own? Mine rarely do. That’s a great saying! I’m going to store that one away for later use. Granted, there is plenty of good applications for it out there – as your poppy musings proved. I love poppies, but don’t have enough sun to grow many in my shady little corner. Isn’t it? I don’t use it nearly often enough! The saying could have wide use, that is for sure! Poppies definitely need a spot of sun, otherwise they’re puny. Perfect for a Wednesday vignette! I hadn’t heard that saying, but I like it. I watched “Dallas” a few times, but I wasn’t a regular. Love the Poppy! Poppies always make me happy and grateful. It’s a teriffic saying–I’m tickled you like it. Poppies are especially joyful blooms! I know that saying! I think there are any number of interations which are used, which makes things interesting. Didi you know that doff is a contraction of do off and don of do on? I didn’t, but ‘do’ now! Good that the lack of petals is only a temporary condition.